This knife is made with 4mm or 3mm steel stock and a lether sheath. It has the same specification as the Classic 4″ Woodlander. This knife is the biggest Woodlander model, ideal for more extreme bushcraft and woodcraft needs. 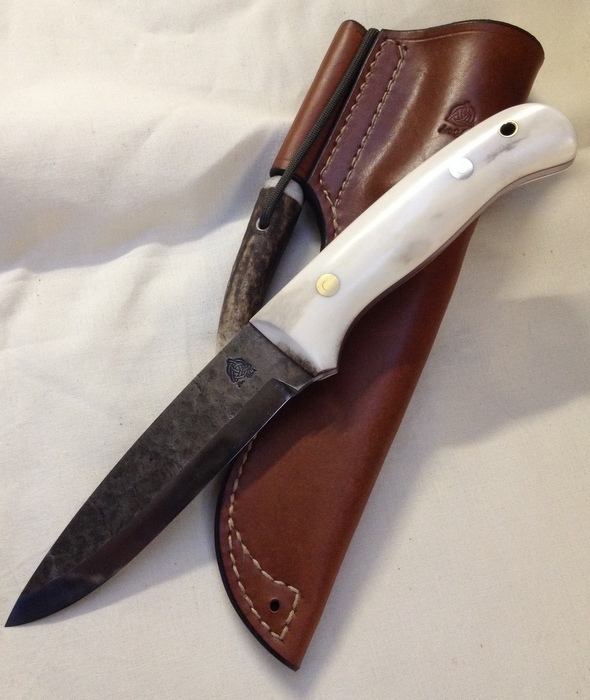 We have sold many of these to more wild bushcrafters where they require a larger knife for more heavy chopping or for working with bigger game, such as deer. They have various handle materials and a variety of sheath styles.